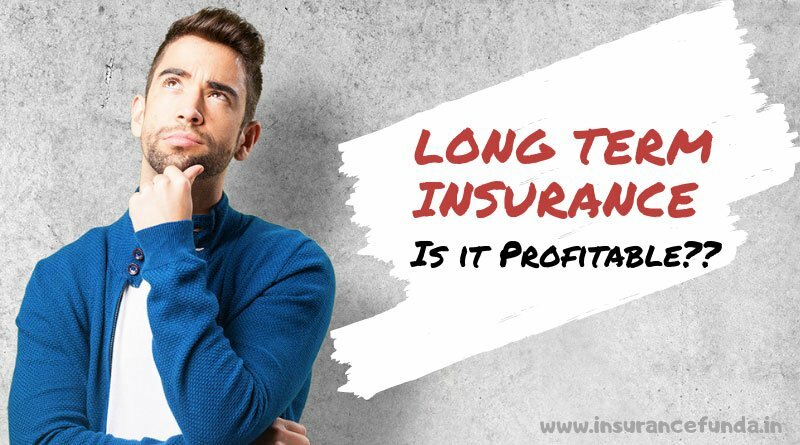 Long term Insurance policies – Are they profitable? A popular question related to insurance, people want to know… As you know, Insurance Companies market different types of long term policies like Endowment plans, ULIPs, Term Assurance etc. But Endowment Assurance is the most popular one among them. Let us do an unbiased analysis and try to find an answer to this million dollar question. Before going into the subject, it would be better to be familiar with certain terms connected to insurance. Term Assurance Vs Endowment Assurance. Should I Surrender My Endowment plan and Invest in Mutual fund And Start A New Term Plan? Term Assurance products offer a high amount of insurance at a low cost. Pure term assurances will not provide any return at the maturity time. Ideally, Term Assurance has to be the first insurance product in the initial years of career development. And the reason is that, during that period, income will be low but the need of insurance will be high. Read More: Term Assurance policy – why do you need it? On the other hand, Endowment products have the Term Assurance element as well as Savings element in it. Endowment Assurance products generally offer a maturity benefit, which includes Sum Assured and Accrued Bonuses. When you search the web, you may come across many advises about discontinuing your existing endowment assurance plans and switching to a term assurance and investing in equity or mutual funds for the savings needs. Let us also have a detailed look at this school of thought. Even though an Endowment Assurance plan is considered as just another savings plan by many, it is definitely more than that. Most important benefits of endowment assurance policies are listed here. 2 Insurance Coverage (Increasing every Year) Insurance Coverage = Sum Assured + Bonus accrued till date Coverage not Increasing. This comparison is not intended to say that Endowment Assurance plans are far superior to the Term Assurance plans. The fact is that each one is different to the core. In other words, Term Assurance is not a substitute for Endowment Assurance and can be considered complimentary, with there own strengths. Endowment assurance plans offer two types of bonuses. Simple Reversionary Bonus which is declared and added to the policy account every year. Final Addition Bonus which is provided as a one time benefit at the time of maturity. One of the biggest mistakes of so-called investment Gurus in the Web is that they directly compare the returns of endowment plans with non-insurance products. Endowment plan is a combination of savings and insurance and hence the insurance portion of the premium has to be separated from the savings portion to find out the returns offered by it. Can you believe that an endowment plan can offer a return of around 7.93% per annum in the current economic scenario where bank fixed deposit rates hover around 6 %? Read this article on How to calculate insurance investment returns to know more. You may be knowing that Insurance products are designed in such a way that as term is higher, the offered bonus rates are also higher. But how much is the difference? There is a significant change in the bonus rates as the term of the policy increases. Bonus rates of two popular Plans of LIC – New Endowment and New Jeevan Anand – is compared in the above chart. You can see that the Highest bonus rates are available for a term of 21 year and above plans. Final Addition Bonus (FAB) is a special type of bonus paid to endowment plans as a one time payment, at the time of maturity. Change of Final Addition Bonus (FAB) is magical with an increase in term of the policy. If you go through the above info-gram, you can see that the variation is almost exponential. For a higher term policy, the difference in benefits increases many folds with a simultaneous increase in Simple Reversionary Bonus rate and Final Additional Bonus rate. As per the graph displayed above the maturity benefit of the long term, policies are considerably higher with increase in the term. In order to find out the returns offered by insurance policies, we should calculate the Internal Rate of Returns (IRR) offered by them. I have taken the premium of 1 Crore Sum Assured plan for a 30-year-old person with various policy terms ranging from 12 to 35 years. Term Assurance premium for corresponding ages was deducted to find out the returns of savings portion of the plan and IRR was calculated. The result is against the common notion that Insurance policies provide low returns. The higher term policies offer a return up to 8.43% per annum. When we go for a long term endowment policy, it offers the following specific advantages in terms of insurance coverage. Insurance coverage obtained up to a higher age where insurance coverage is most needed. Higher the term the premium is considerably low and will help the policyholder to go for a higher Sum Assured. As the long term policies are taken at younger ages the premium will be comparatively low and the rate of returns offered on the premium will be higher. Many people ask this question to InsuranceFunda. This school of thought was invented by some Investment Gurus in the web, who claim to be financial planners. They neither knows the basics of Savings nor that of Insurance. Savings linked insurance plans offers medium returns and are highly secured. On the other hand Mutual Funds have the potential to earn good returns with associated risk in it. Advising to invest all your savings in mutual fund or equity is against the principle of financial planning. What you need is a balance between secured investments and risky investments. Surrendering an endowment policy and taking a Term Assurance is not advisable. Reasons are given below. You are losing valuable insurance coverage taken at a younger age with a lower premium. Endowment policies have some benefits which cannot be offered by term policies, such as, income tax benefits and liquidity. Grace period and claim concession period are always higher for the endowment plans and there is a higher chance to get a claim even if you miss the grace period. You cannot add Double Accident Benefit (DAB) and Critical Illness rider with a term plan. Conclusion: The common notion of Insurance policies is that Long Term Endowment Assurance plans offer lower returns compared to other investment options. The profitability of an investment/savings plan has to be evaluated after considering all the benefits it offers. An Endowment Assurance plan offers a variety of benefits including increasing insurance coverage, Income tax benefits on premium paid, Tax-free maturity returns, and even serves as an emergency fund. The analysis shows that an endowment assurance plan can give an internal rate of return(IRR) even up to 8.43% if a longer a term has opted.